Although summer starts at June 21, the Memorial Day is a kick off of summer. The sun is shining and everyone is excited about the three day long weekend. The Memorial Day is a perfect time to go outdoors, eat outside and visit different places. However, with so many activities to do this day, you might have some difficult time choosing what to do and what to include in your summer bucket list. Instead of enjoying your weekend, your Memorial Day Weekend getaway might be daunting. Below are some of the best options you can do as the summer season unofficially starts. Summer is the perfect time to hit the pool or go to the beach. Brace the summer season with a splash in the pool or swim at the nearest beach. If you prefer hitting the pool but you don’t have one, you can call and adapt a friend who does or you can also find a community with a local public pool. But if you prefer the sand and salt water, you can go to the nearest local beach in your place. Hit the beach and enjoy a nice sun bath. But just remember not to overdo it, leave any gadgets at home. Don’t forget to cool off with your favorite chilled drinks and keep them cold and refreshing using your best beach cooler for the summer. If you love sports, this is the perfect time for you to watch a ball game. Check the scheduled major league games nearest you or you can watch a minor league if there no major league team nearby. Be part of the crowd and support your team all the way. When you feel hungry, don’t worry, you don’t have to suffer with a hungry tummy. Enjoy a popcorn or hotdog while you listen to every crack of the bat. This day is also considered as an outdoor eating weekend and there is no better way to eat out than to have a picnic. Go visit the nearest national park or botanical garden and have a picnic with your family. Let your kids have some quality time with you while they enjoy a warmer weather. It doesn’t matter whether you eat by the beach, by the lawn or on a picnic table; you will definitely enjoy the combination of sunshine and fresh air. The taste of the food will be much better when you enjoy a festive and fun picnic. Another way to celebrate the start of the summer is by hosting a barbecue party. You don’t have to be a grill master to do it. Cooking is fun, especially if it is done outside. And you don’t have to break a bank to host a barbecue party. You can grill chicken, fish or steak in a cheap but stylish way. And to make things even more fun, pair up summer BBQ with a bottle of wine. Your Memorial Day weekend will never be complete without visiting memorial places. 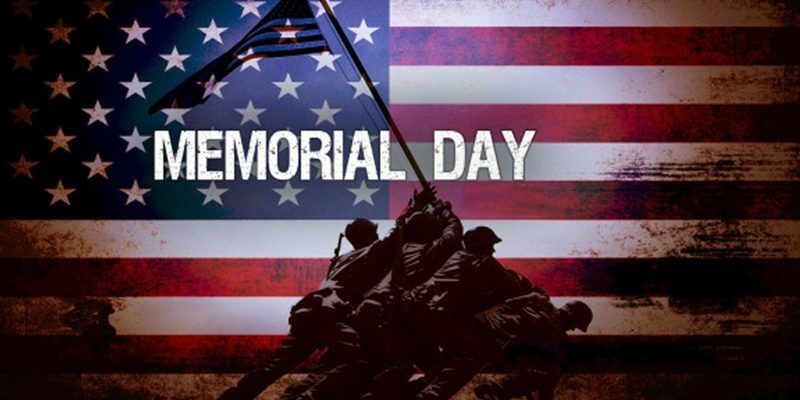 This is the true purpose of Memorial Day, we should reminisce and remember those people who fought and died in serving the country’s armed forces. Go out and visit some Memorial places, historical museum and historical island and spend your Memorial Day weekend with a purpose. Make your Memorial Day an exciting way to kick off summer. There is no better way to spend your weekend than enjoy the outdoors and welcoming the warm breeze that summer brings. So this 25th of May, don’t just slouch in your couch and be contented in watching TV. Enjoy outdoors, visit some must-see attractions and feel the weather and kick start your summer with a blast. How Are You Celebrating Memorial Day 2015?